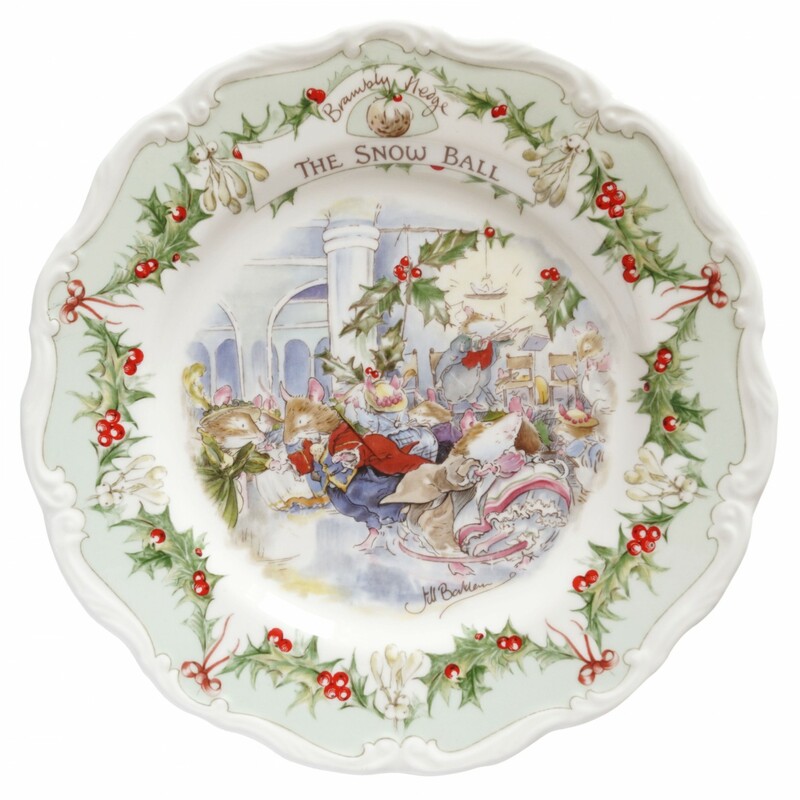 "The Snow Ball” wall plate from the "Brambly Hedge Gift Collection" produced by Royal Doulton. 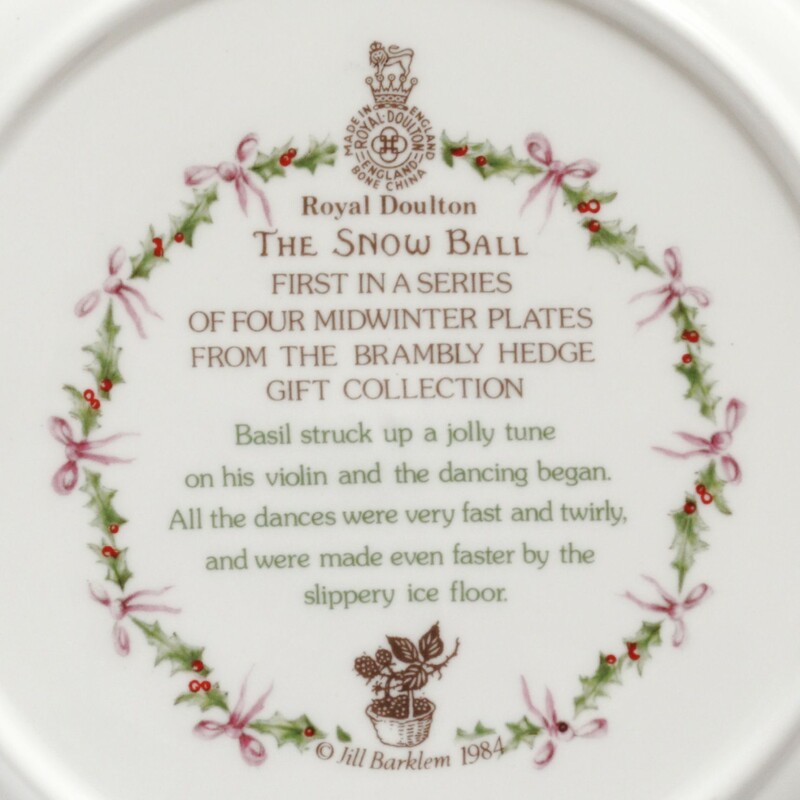 The plate measures approximately 8 inches diameter and on the underside reads " Royal Doulton - The Snow Ball - First in a series of four Midwinter plates from the Brambly Hedge Gift Collection - Basil struck up in a jolly tune on his violin and the dancing began. All the dancers were very fast and twirly, and were made even faster by the slippery ice floor. 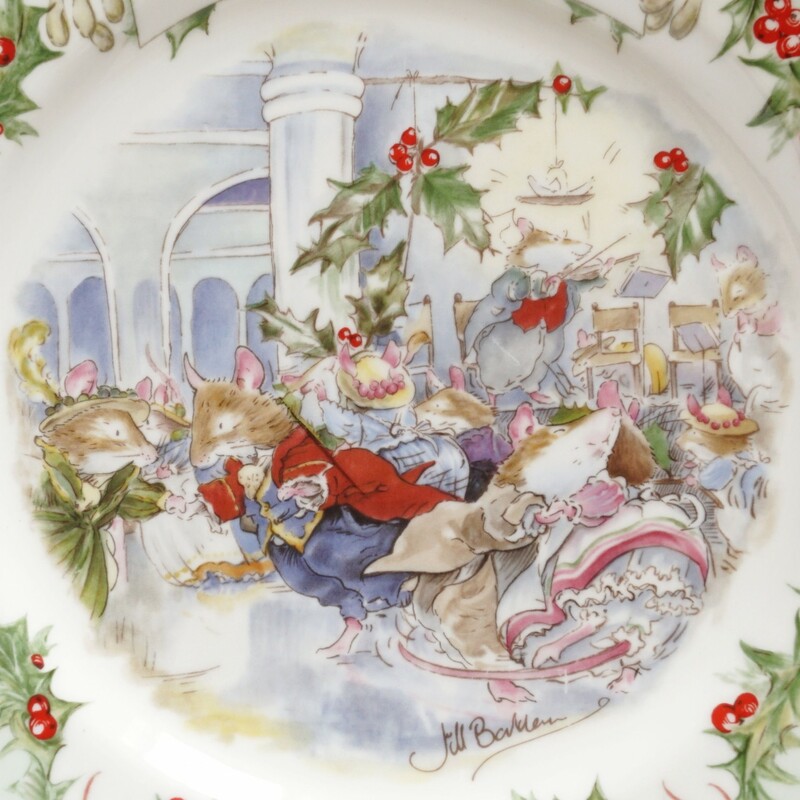 - Jill Barklem 1984”. 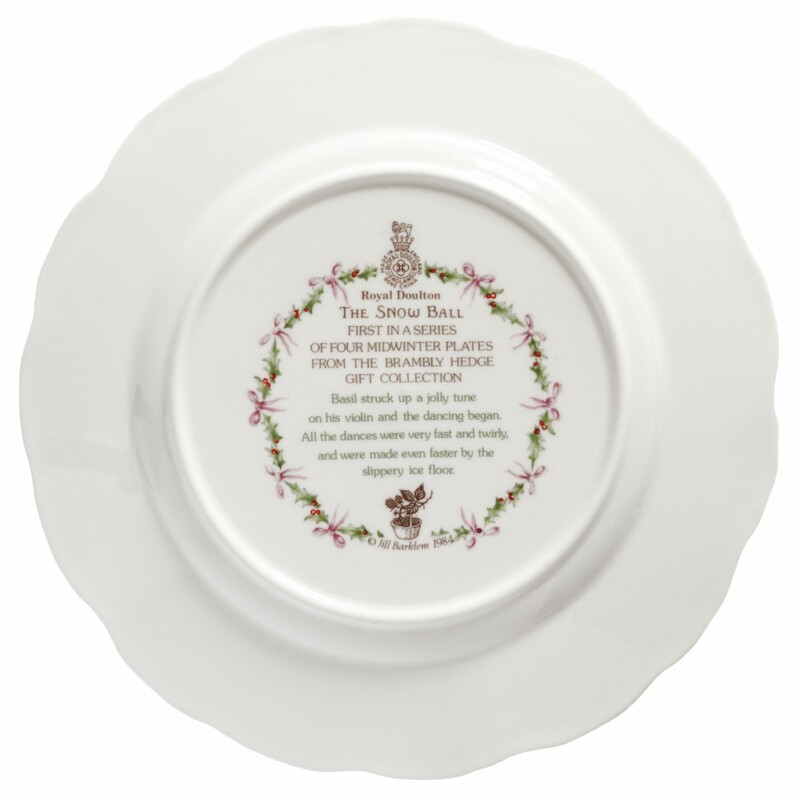 The plate is marked as second quality, but it is in very good condition.